Glow on with us at the next of our magical Tiki Nights series! We’ll be transforming our beach into a spectacular neon paradise, featuring JNR & Max Verrier on the decks with tropical beats that'll fuels the party. Start off with a sunset dinner by the pool with the freshest coastal cuisine and enjoy the backdrop of the best strip of sand lined with palm trees and lush foliage. When the lights go out, join us for dancing under the moonlight, as we illuminate the night skies. 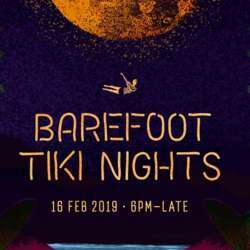 Come dressed in your best tropical-themed outfits. Rain or shine, join us in our tropical paradise. Please only sign up, if you are 100% sure you'd like to attend and can arrive on time, as our bookings expire in 15 minutes!